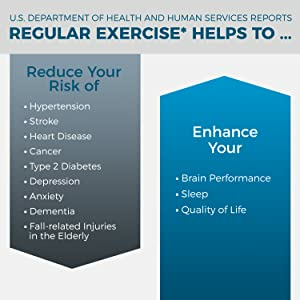 Free yourself from the pain normal exercise can cause! 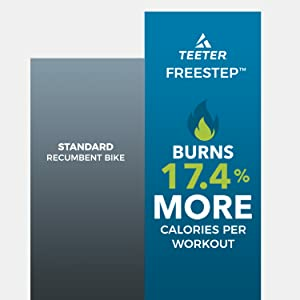 The Teeter FreeStep brings a new level of ease to exercising in your own home with a stress-free, zero-impact cardio and strength workout. 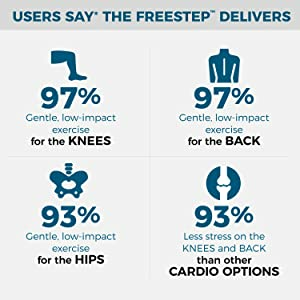 FreeStep takes the load off your back and joints, elevating comfort beyond traditional ellipticals, treadmills, and steppers while delivering exceptional calorie-burning results. Patented Stride Technology protects the knees, with a natural step that follows a smooth, linear path. 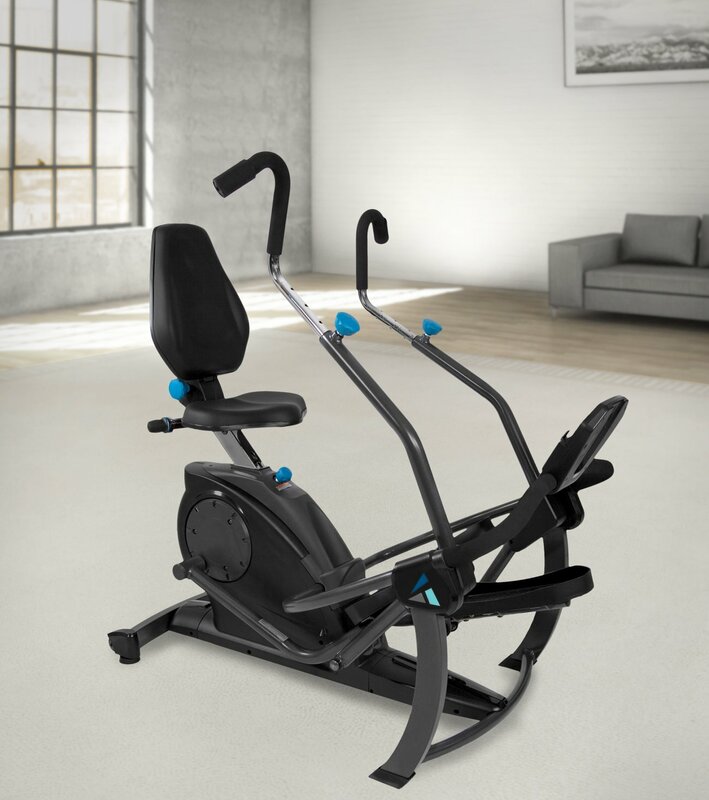 Dual Power Motion distributes muscle exertion throughout the body. Shift from working hard with your legs to focusing on your arms, so you can exercise longer without getting tired. That means a more comfortable total body workout that feels easier, while burning more calories for faster results. 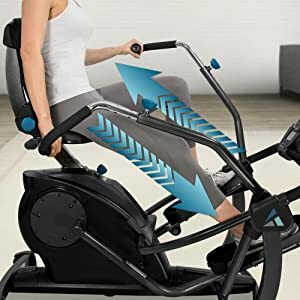 Incorporating both leg and arm strength, the FreeStep promotes a total body workout, helping to increase calorie burn while also distributing muscle exertion so no one muscle group gets burned out, making your workout feel easier. Full-body resistance training means you’ll build more lean muscle throughout your body, so you can continue fat burning long after your workout. Push-pull mechanics work both the chest and back muscles. Adjusting the handles changes the focus to the triceps or biceps. The unique stepping motion mimics a leg press for maximum isolation of the glutes, quadriceps and hamstrings. 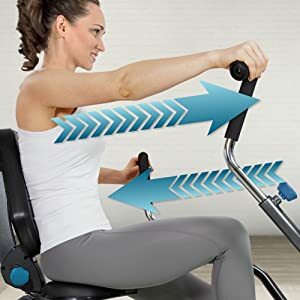 Evenly distribute resistance between muscle groups OR isolate your arms or legs for targeted muscle toning. Reclining Seat – Select from 3 recline settings to position your body for optimal posture, muscle engagement and comfort. Variable Magnetic Resistance – Adjust from lower to higher intensity with one simple dial, accommodating a range of ability levels. 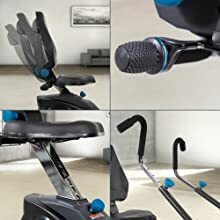 Seat Height – Easily set height with the spring-loaded adjustment knob to achieve a gentle, neutral stride motion. 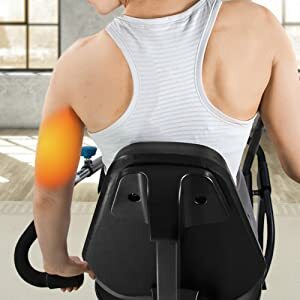 Handle Adjustments – Target different muscle groups with the rotating handle settings. 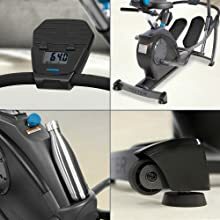 Digital Console with Smart Device Stand – Listen to music or read from your device while monitoring your time, distance, speed and calorie-burn. Compact Footprint – Designed to fit small spaces, the FreeStep has a convenient footprint of 56″ by 38″. Water Bottle Holder – Keep hydration within reach. Transport Wheels – Conveniently roll away for easy storage. 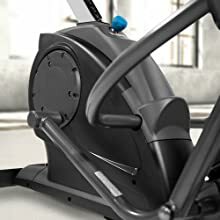 Conveniently exercise indoors at any time of day or night without creating a noisy environment or straining to hear the TV during use. The virtually friction-free magnetic linkage system (tested to over 2.3 million cycles) means long-lasting performance in your own home so you can maintain an active lifestyle. 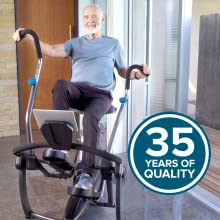 Leveraging nearly four decades of experience specializing in superior-quality back pain relief products, the Teeter FreeStep is both Back-Wise and Body-Healthy. Similar to commercial-grade equipment used in PT clinics, the FreeStep is a more affordable option that delivers those benefits in the comfort of your own home, maximizing your time and value.